Tree pruning and palm trees. Irrigation. Natural and Artificial Grass Phytosanitary treatments. The maintenance of landscaped areas tries to take timely measures at the precise moments. 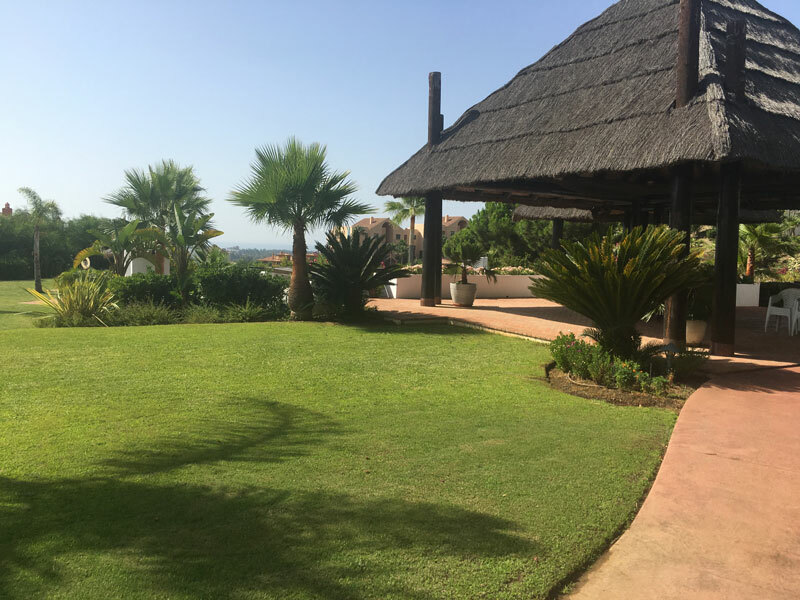 For this reason it is necessary for a garden to carry out an integral maintenance plan, which seeks to carry out all the appropriate activities to maintain the landscaped space in perfect condition. For this reason it is necessary for a garden to carry out an integral maintenance plan, which seeks to carry out all the appropriate activities to maintain the landscaped space in perfect condition. The Company offers pruning services for all types of needs. The different types are executed as pruning in height, thinning, cleaning, formation, enhancement, surgery and pruning of palms. For each case a specific pruning is recommended, for it the company has a specialized team of pruners, who practice the different pruning techniques depending on the need of each situation. GREENTHIA is in charge of designing and installing the irrigation system that best suits the needs of the garden. 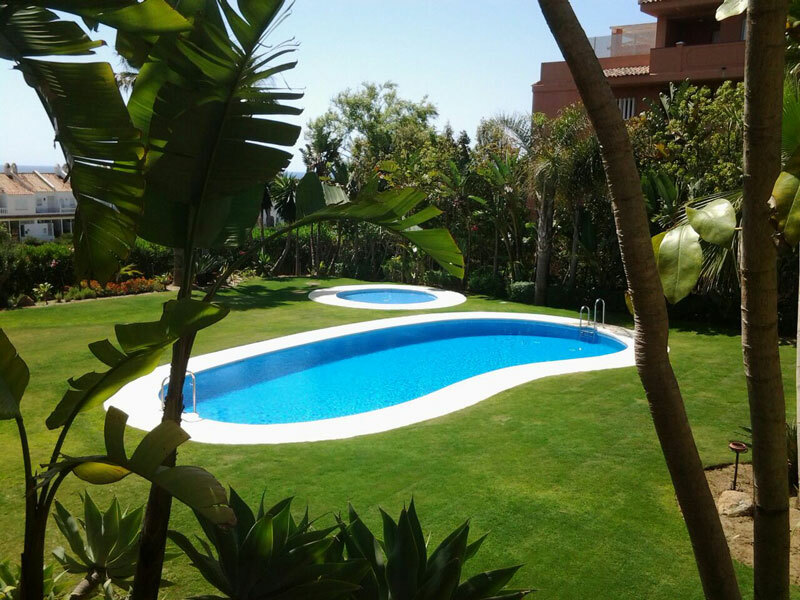 Our projects have as philosophy the environmental sustainability that is characterized in adapting the different systems according to the water needs of the garden. The company also provides services related to the maintenance and supply of irrigation systems. With the aim of maintaining turf excellence, the company offers a wide range of services for natural, artificial and mixed turf. The integral management of all types of grass is carried out (mowing, profiling, aeration, scarifying, chemical amendments, phytosanitary treatments and improvements). GREENTHIA, unlike traditional gardening companies, prefers sustainable control. The use of organic products for pest and disease control in addition to green purchasing, using chemicals when necessary for a good environmental balance.